JUNE 24, 2015, WRIGHT-PATTERSON AIR FORCE BASE, Ohio (AFNS) – Imagine facing down a raging fire, up close, with little or no time to save lives and protect property; hauling 75-pound hoses up multiple flights of stairs; carrying victims out and repeatedly putting your life on the line. Then imagine doing it nearly every day. It’s an extreme job and the constant stress can cost the lives of emergency personnel. To help prevent this, the Air Force Research Laboratory’s 711th Human Performance Wing at Wright-Patterson Air Force Base, Ohio, is looking for ways to predict, measure and minimize that stress by isolating the biomarker signatures that govern it. According to Wright-Patterson AFB Fire Chief Jacob King, health problems related to chronic stress are the leading cause of firefighter deaths, most often in the form of heart attacks. Just about anything can cause emotional stress, but AFRL’s Bio-Physiology of Stress research team is focusing primarily on physical consequences associated with the extreme and chronic stress of emergency response operations. “The importance of biomarker signatures of our Airmen and first responders in high stress environments has become increasingly important as advances in sensor development will transition biomarker analysis from the laboratory to the emergency management teams and Air Force operators,” said Dr. Regina Shia, the Bio-physiology of Stress team lead for AFRL’s 711 HPW’s Cognitive Performance Optimization Section. According to Shia, when a stressful event occurs, the body reacts with a complex chain of chemical events, decreasing pain sensitivity and suppressing appetite, for example, and ending in the “flight or fight” response. This is healthy and effective for short-lived danger situations, but over time, it can lead to cardiac problems and other health issues. This is especially true for emergency first responders like firefighters. To help figure out how to pinpoint the exact chemicals, or biomarkers, the body uses to deal with stress, Shia’s team brought in a group of experienced Wright-Patterson firefighters to help test body chemistry before and after extreme fatigue or activity. The researchers put the firefighters through grueling firefighter combat simulation challenges, and then tested their physiological state, which included heart rate and variability and cortisol levels, among other things. The need is immediate, so the team is currently writing a research protocol that will allow them to give firefighters supplements like didehydroepiandrosterone (DHEA), which can help counteract the effects of prolonged stress by decreasing high cortisol levels. But nutritional supplements like DHEA only work on individuals in need and who exhibit high cortisol: DHEA ratios. The key to effective supplementation is isolating the exact biomarker expressions of stress for a particular group so that they can be used predictively, Shia said. “Understanding the response our body provides during these types of events (will help) us better understand how to prevent cardiovascular events from occurring, or predict when an event will occur,” King said. 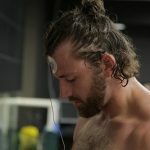 Shia hopes to be able to isolate, sense and track stress signatures in real time, in the field, and manage them with supplements in a nasal spray, pill or injection. To get there, the team is working with other AFRL research efforts as part of AFRL’s Signature Tracking for Optimized Nutrition and Training program (STRONG). STRONG pulls together researchers in physiology, bio-signatures, physical training, nutrition and supplementation and sensors, and takes a holistic approach to optimizing human performance.